Last night, at dinner, E3 told a joke he thinks says he made up. In his best Darth Vader impression he intoned, “Use the fork, Luke. 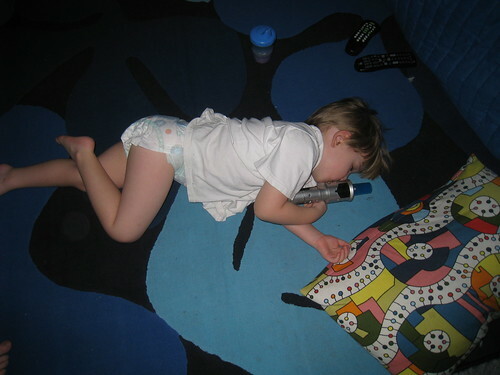 It’s dinnertime!” Then he gathered up his sippy cup and his light saber and promptly fell asleep on the floor.